Find the perfect traditional food and drink hamper for a special occasion for friends and family to enjoy. Our range of luxury traditional hampers feature delicious gourmet foods with & without alcohol. These include fine wines, craft beers, fresh cheeses, luxury cakes and much more, with a choice of packaging including small to large wicker hampers as well as lidded & open traditional wicker baskets. 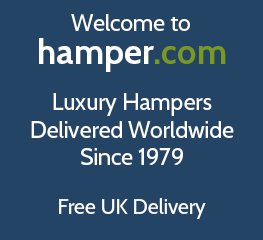 All our traditional gift hampers bought online come with free UK delivery! For the ultimate traditional hamper, choose one that includes a traditional wicker basket. By far the most luxurious way to enjoy the gourmet feast that awaits you inside. So choose your perfect festive traditional food hamper from our collection today, and surprise a friend or loved one with their ideal gift. Why not create your own traditional hamper if none of our selection takes your fancy. Take inspiration from our wicker baskets and add gourmet food and drink for the whole family to enjoy. If you still haven't found the perfect gourmet hamper, search the entire Christmas Hampers selection, where you will find all of our festive food and drink gift baskets. With something for the whole family to enjoy, the popular and historic hamper has always been regarded as the perfect traditional food gift in the UK and Worldwide. Sometimes called a gift basket in the US & Canada, Australia & New Zealand and come with or without alcohol they are a great gift idea and present whatever the occasion. Our range of traditional Christmas hampers are sure to please the lucky recipient with great appreciation for the thoughtful gift you have sent.